info on how to use this thread. to those that wish to post their personal items for sale here, they may do so. let's try to keep it more in the renewable area, but at this point i have no objection to selling your kitchen table. if it gets too much like the flea market down the road we may reconsider what items can be placed into the thread. no commercial sales will be allowed without prior approval and note that we reserve the right to take away anybody's privileges to post personal ads in this thread. those wishing any posts resembling commercial, for approval you need to contact one of the mods via report thread as this insures all mods are notified of the request and specify "requesting for sale posting permission" or something similar so it is differentiated from an actual complaint. we may also delete any posts as they get old (2 months) as they would waste data space, but we will try to extend the courtesy to the poster to keep track of their own post and should an item get sold or changed in some way to invalidate the post that the original poster should notify a moderator so that changes can be made. as a courtesy to others, if an item sells or is taken off the market it should be so noted by the seller of the item to the moderators. also we moderators will not intervene for contacts to find out if somebody is or is not still selling something. notification of it being sold or to be taken off the market will need to be done by the seller to a moderator so use report post to moderators by the poster and specify what post to delete. if one does not see the post any longer, one can consider it off the market. if one asks us for some special consideration in keeping a post active longer it doesn't hurt to ask any one of us and we will modify the post to indicate the approval for the extension is given and until when. we aren't nazis, but we must maintain some semblance of order and intent on the posts and you may find we are willing to bend some at times. for the poster, please give details of the item(s) being sold and one can post a price in the post, but any negotiations and arrangements shall be via private messaging or other private means. please do not give phone numbers, addresses, and other personal info in the post. doing so isn't against the rules, but it is not a wise thing to do. only one post per item or group of items shall be allowed. this will facilitate it all to be in one spot without having to jump around to see if the price dropped or whatever. updating a post may require the help of a moderator and can even be the elimination of the original post to allow a better and more complete post to replace it. in cases of more than 1 post for an item the posts will need to have a moderator's approval written into the post. all special (commercial) permissions granted or revoked shall be noted between us privately to avoid arguments of why one can or can't post and such arguments may not be looked upon well by us as some have tried such arguments in the past for other reasons. as indicated earlier, we are implementing a 2 month trial time limit. this would start by the initial time stamp on the post or when indicated by a moderator as the start date. we ask that by the end of that time period that the original poster notify us if the post is to be renewed or deleted. we reserve the right to delete the post. OK,, how's this for an idea. Any ody want my Lister SL2 5 kw diesel genset? Price is ,, free I f you fcover my costs to haul it to a shipping terminal, and you pay shipping. Probably weighs 1000#, and I can only haul it certain times of the year. How does one edit a post? This thing is sold. It would be nice to be able to edit the ad to indicate as much. i think if more discussion is wanted that a new thread should be created and we would allow a link to it here. Then are all brand new in box unopened. They are the 24 VDC model. Original buyer backed out after paying deposit so I am passing on the savings. Now selling these for 499.00 each! I am not saying it is good or bad, just letting you guys in canada know it is there. If I shouldn't be posting things like this, would someone please let me know. Paypal it & check the persons account standings. I have purchased from this thread / place , It was great, No Problems , I needed to learn "Gift it" . Like new Magnum ME-RC50 remote, original box and manual. $100 shipped in Canada and USA ( lower 48 ). I have a 100' tilt-up tower from Bergey ($800). It is designed to be used with a Bergey XL.1 1000 watt turbine, but could also be used with other small turbines. Tower includes all parts expect the ground anchors (which are still in the ground!). This tower was erected for about 6 years and doesn't really show any significant signs of wear. The tower retails for about $3000. I also have a Bergey XL.1 ($200). I only have the turbine -- no controller. The was also in place for 6 years and has near new blades. Also available is a diversion load air heater($100) that was used with the turbine. If you're interested, let me know and I will get you the specs. Re: xantrex 600 for sale. Suresine 12v inverter, Iota 12 volt charger with built in IQ4, and Morningstar MPPT 15 amp charge controller. Would like 150.00 each for the charge controller and the inverter, 100 for the Iota charger. PM me if interested. 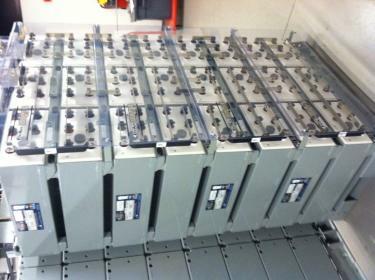 4-Kyocera 135 watt in series, 4-215ah 6 volt GC2 batteries in series, Exeltech 1100 watt/24 volt inverter, Tristar 45 MPPT controller, Iota 24 volt/25 amp charger. 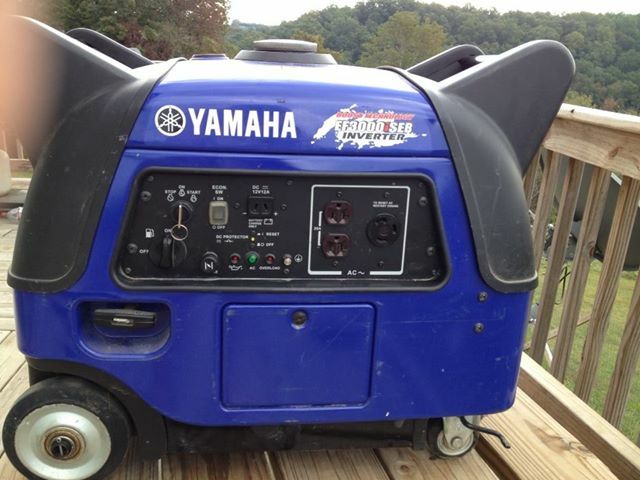 Yamaha Generator - 3000ISEB - $1600 (Greenbrier TN) - Like new - has a couple of scratches - Attachment not found. 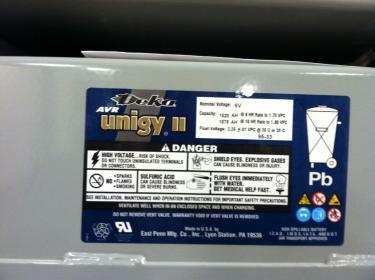 This is an inverter generator? Can you PM me your phone number? I am in Clarksville. We are a company in Florida and we are currently transitioning to another facility. There are a few items that we bought that will no longer be needed. If you are interested we have the xantrex XW4548 part # XW4548-120-240-60 for sale. please send me an email to [email protected] com to inquire further. you dont by chance still have these forsale do you? For sale is my portable power unit. I built this in the spring of 2013 for home shows and to power my office. 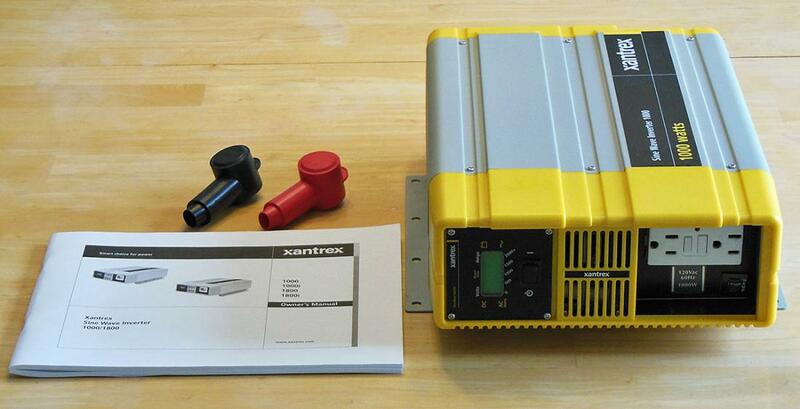 Have a Xantrex pure sine wave 1000 watt inverter for sale. 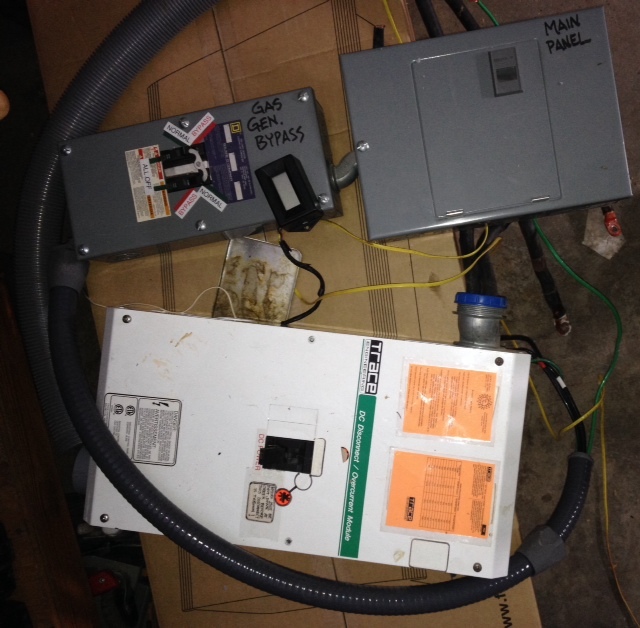 Has built-in GFI outlet and 15amp circuit breaker, and comes with the connection boots and owner's manual. I used it for about four years trouble-free before I replaced it with a Morningstar SureSine, which better matched my small system. Was hanging onto this in case I needed as a backup, but the SureSine is proving reliable enough that I don't think I'll ever use this Xantrex inverter again. Would be good to see it go to someone who can use it. $200 plus shipping. PM me here if you're interested or want more info. Thanks. I still have it, by there are two others ahead of you who've expressed interest. I can send you a PM if both those don't pan out. Has now been sold, thanks! 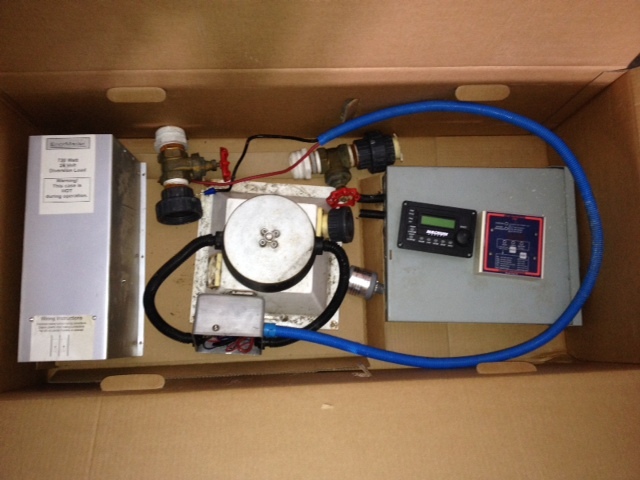 Complete Micro-hydro system for sale. Just add a creek and 24V battery bank. This highly efficient and functional system was removed from service and is ready to be installed by you. Depending on your available pressure head and flow, you can generate up to 1000 Watts continuously 24/7/365. That is WAY more than what most efficient households require. Our efficient 3bed/2bath house used about half that and thus we kept the unit running at only half capacity. 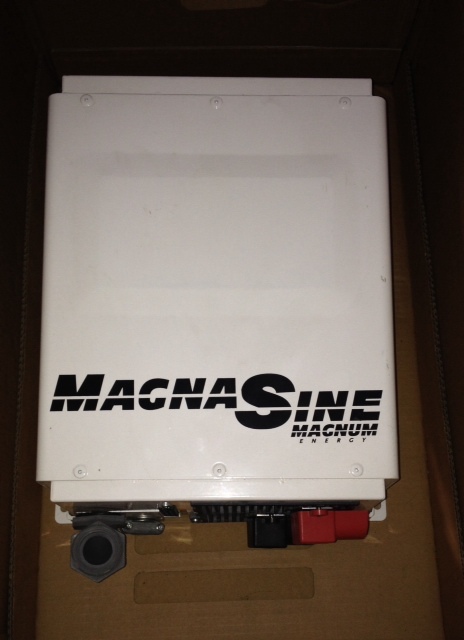 The Magnum inverter supplies the house with 120V AC of pure sine wave power (everything will operate off it!) We couldn't have been happier with this system. 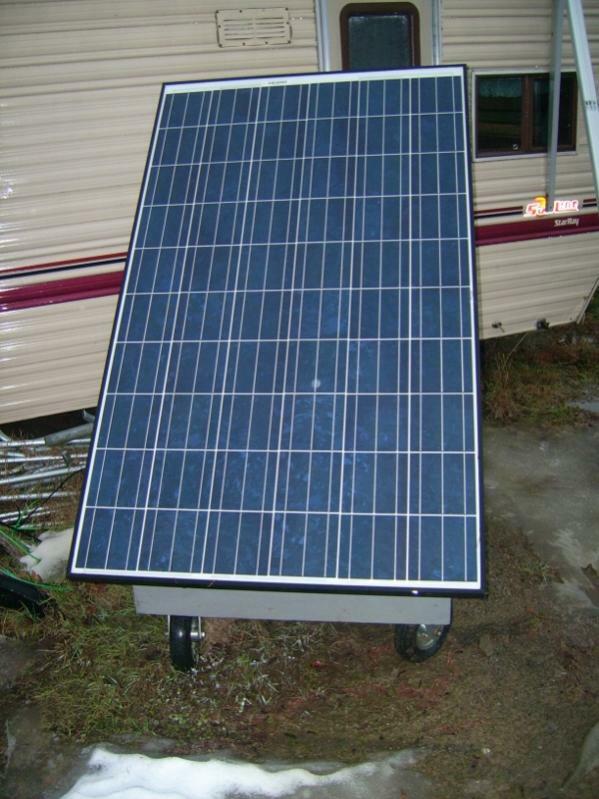 Very low maintenance, no back-up generator or utility grid necessary and requires a much smaller battery bank than solar. All components are top of the line and in great shape. The system was designed by myself, a renewable energy professional at Simple Power here in Truckee, CA. Please feel free to call with questions. I am happy to ship within the USA if you cover freight. Will deliver for free to the Reno/Tahoe area. Will set the system up for you too, if you cover my time. Why am I selling it? Well, that's a looong story--contact me and I will tell you. Attachment not found.Attachment not found.Attachment not found. Like to hear the story ?? since I've seen these items for sale on other forums . 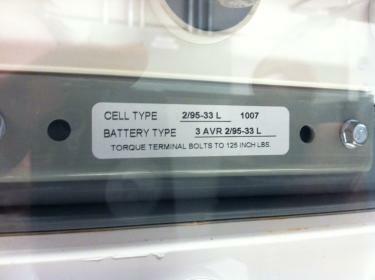 4 lug electric meter for 240 split phase, $10 plus shipping and handling from 85308. Just a quick note: AJBelcher has listed many battery banks for sale here before over the years--I have just deleted the older posts that are no longer available for sale (by his request). I have a brand new Cotek Sk3000-124 24v 3000w True Sine Wave inverter for sale. If you have read my recent posts, my original 14 month old SK3000 died (2 year warranty) and I didn't want to wait for them to replace it and was wanting to go to a 48v system anyways so I just upgraded to a VFX3648 at that time. So, I just received the replacement unit back from Cotek. It's brand new in a retail box. Sells everywhere for about $1,050. Our host carries the Samlex version (everyone pretty much agrees they are exactly the same unit with a different name) http://www.solar-electric.com/sa3wa24vosiw.html. Your price: $900 including shipping anywhere in the lower 48. If you are outside the lower 48, I will contribute $40 towards the shipping. Also have an Iota DLS-27-15 (No IQ4) 15amp, 24v charger, less than a year old, works perfectly, sells for about $150 everywhere. Your price: $100 including shipping anywhere in the lower 48. If you are outside the lower 48, I will contribute $15 towards the shipping. I am going to leave them listed here for about a week and then put them up on ebay. So you all have the first shot at them. Re: Measuring 4 Panels output - Is this right? Can you install the battery bank under ground/berm earth area? In many areas, just a couple of feet under ground can dramatically reduce/stabilize temperatures. Yea--Off grid/battery backed power is not cheap. If you can go with Grid Tied solar (and you have good Net Metering plans available) is almost always a better investment (as well as new/higher SEER rated HVAC system).